Teachers should know the symptoms, says the DA. The DA in the Northern Cape wants the education department to ramp up measures for teachers to better understand Attention Deficit Hyperactivity Disorders (ADHD). 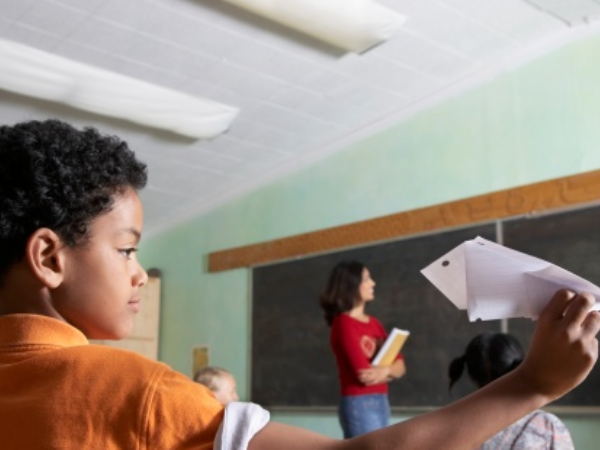 This followed a study published by the University of the Western Cape, which showed that many primary school teachers in the province lack an understanding of ADHD, which is a neurological condition and runs in families. ADHD is one of the most common disorders that develop in children and can continue through adolescence and adulthood. It characterised by three primary symptoms: hyperactivity, impulsivity and inattention. Treatment includes medical, psychological and educational intervention as well as behavioural management. The study, which was published in May in the SA Journal of Education, surveyed 200 teachers from primary schools in the Northern Cape to investigate their knowledge of ADHD, and its management in the classroom. It found that only 45% of the teachers responded correctly to questions; 31% had misconceptions about ADHD; and 22% gave incorrect responses. "The results of this study may be helpful towards investigating undergraduate teacher education programmes and in-service training for ADHD, so as to determine what information teachers actually receive about this disorder," the study authors noted. "Asking teachers what steps they take when a child is exhibiting specific inappropriate behaviour may also provide information regarding teachers’ knowledge, training, and application of interventions/management techniques. The study suggested that it would also be advantageous to have school psychologists work as consultants to teachers. In this way, they might be able to observe teachers working with a child with ADHD, help to implement interventions and interview them about their techniques and barriers. "It would be helpful if the Department of Basic Education could either revise their decision of doing away with “special needs classes”, or put in place District Support Teams to assist the teachers who have to work with children with special needs. "Should management techniques be implemented, the academic and social outcomes for children with ADHD could improve. Children displaying symptoms of ADHD might therefore be assisted in order to function to their full potential and support their well-being." The authors pointed out that this could contribute to a more effective education system. The DA in the Northern Cape said in a statement on Monday that it is important that the department of education provide teachers with the necessary training to create a good educational environment for all learners. Since teachers spend a large portion of the day with their learners, they are in an ideal position to identify possible symptoms of ADHD and to raise these concerns with parents, said DA Provincial Spokesperson on Education Safiyia Stanfley. "Teachers must be equipped with the necessary understanding and must know how to involve these children in the classroom curriculum." However, she added that teachers already have a full schedule and should not be overburdened. "We definitely don’t want teachers to be doctors. But we want teachers to be aware of the symptoms," said Stanfley. "The DA believes that all children must be given a fair chance in life. We should not deny a child access to opportunities because he or she has ADHD."